**Note** This update was released on January 5th, but due to issues with our web host, we weren’t able to get this posted right away. We don’t normally do Monday updates (in fact, this is our first! ), but due to the DDoS issues we had earlier, we worked really hard to get a new server up so we can get the server browser back online. Thank you very much for your patience during the downtime as that was completely out of our control. Since we had to do a hotfix so you can access the new master server, this is an update of what we’ve been working on so far since after the holidays. The flick tool was a much requested feature, so hope you enjoy that new addition. We hope you all had a wonderful holiday season and let’s all enjoy the new year – 2015! New hand mode Flick has been added to the pointer selection menu on the left side of the screen. Flick can used to launch objects using a ‘pull back and release’ motion. Flick works on all selected objects or on an individual object that you click and drag on. Can use ‘CTRL + LMB’ to select multiple objects or in Hand mode use box selection then swap to Flick. 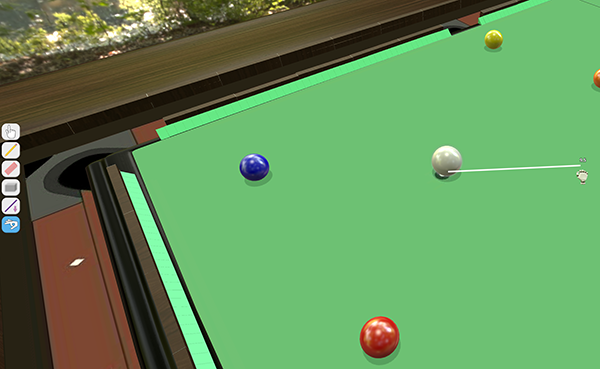 Flick is great for pool, block stacking, and other games that require dexterity to play. 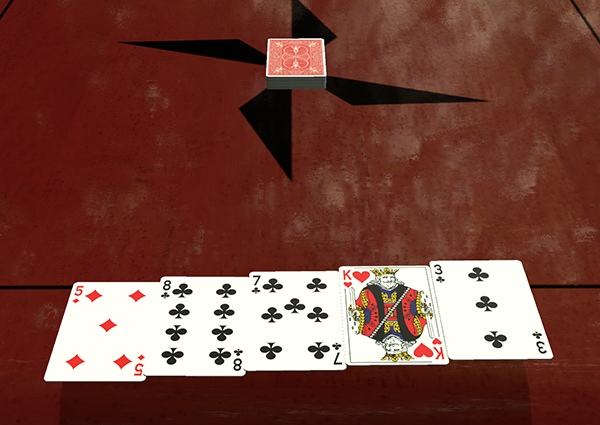 Cards will not begin to overlap until there are more than 5 cards in your hand. This will make it easier to read the text on card if you do not want to use ALT to zoom. Greatly optimized networking traffic when modifying/manipulating multiple objects. Custom objects use 30% less cpu resources (model, figurine, deck, and board). Lift height and rotation snap has been moved up next to the top bar to avoid clipping issues with lower resolutions. Box selection will no longer select objects that are hidden in fog of war. Recreated the hand icon for the hand mode selection menu. Fixed adding or removing a password from your game not updating for people joining through Steam friends. Fixed tables being able to be placed insides of bags by throwing it at the legs (lol). Fixed voice chat microphone icons not appearing for all players. Fixed the sharing violation error when overwriting certain saves (Hopefully). Fixed sharing is caring achievement not working retroactively (must be subscribed to your mod). Fixed default video quality settings back to medium. Fixed grab + lower while not in hand mode picking up objects. Fixed some line tool bugs when hovering over GUI elements while measuring. Stay up to date on our development by following us on Twitterand Facebook!